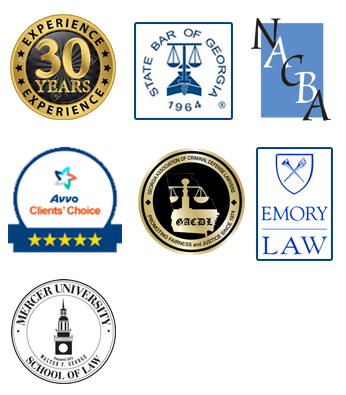 Although there has been much written about the Bankruptcy Abuse Prevention and Consumer Protection Act of 2005 (“BAPCPA”), and its potentially devastating effects upon an individual’s ability to deal with his or her debts in bankruptcy, the fact is that the BAPCPA is now the law of the land, and although there are a number of new requirements to fulfill in the filing of a petition in bankruptcy, bankruptcy relief is still a viable option for many individuals. Means Test – Under the new law, most individuals or couples filing for protection under Chapter 7 must now meet certain eligibility requirements under a “Means Test.” Under the Means Test, you must first determine if your average monthly income for the last six months is below the median income for your state, based upon the size of your household. If your average monthly income for the past six months is above the median income for your state, you must proceed to the second hurdle – do you have the ability to repay a portion of your debt? If your net disposable income falls between $100.00 and $167.00 per month, in most cases, if this amount can enable you to repay at least 25% of your unsecured, non-priority debt (such and credit cards, medical bills, etc.) over a five year period, you are not eligible to file a petition for protection under Chapter 7 and you shall be required to file a petition under Chapter 13 in which you shall be required to repay a portion of your debt over a period of up to five years. Please note that although there are now a number of websites that may permit you to perform your own Means Test, we recommend that you should seek assistance from an experienced professional before proceeding with your filing. Education Requirement – Under the new law, an individual or couple filing for protection either Chapter 7 or Chapter 13 must complete an approved Credit Counseling Course BEFORE a petition can be filed. The Office of the United States Trustee (an arm of the U.S. Department of Justice responsible for overseeing the administration of bankruptcy cases) has established a list of approved providers. In most cases, the course can be completed at home either over the internet or by telephone. In addition, you shall also be required to complete an approved Financial Management Course BEFORE you can receive a discharge of your debts in bankruptcy. A Chapter 7 Discharge or a Chapter 13 Certificate of Completion and Discharge shall NOT be issued by the Bankruptcy Court until you complete both educational requirements. Please contact us for more information. Document Requirements – Under the new law, prior to the filing of any petition in bankruptcy, you are now required to provide the Court with a copy of your proof of income for the sixty day period prior to filing a Chapter 13 and the ninety day period prior to filing a Chapter 7. In additional you are also required to provide a copy of your latest filed tax return prior to the 341 Meeting of Creditors. Proof of filing can be generally be confirmed by providing a tax transcript from the Internal Revenue Service. Our office can assist you in this regard. IF YOU CANNOT PROVIDE THESE DOCUMENTS, YOU MAY NOT BE ELIGIBLE TO FILE FOR BANKRUPTCY. In addition, if you are filing for protection under Chapter 13, you will need to prove that you have filed your tax returns, if required, for the four years preceding the filing of your bankruptcy petition. NOTE: Please be reminded that the outline above highlights only some of the major new procedural requirements under the BAPCPA. There are still a number of basic eligibility requirements that have been carried over from the pre-October 17, 2005 law – in particular – the determination of exempt and non-exempt assets. Even if you do not “pass” the Means Test, if you wish to retain assets with values above those that may be deemed to be protected, or exempt, under applicable law, you will still be required to file for protection under Chapter 13 in order to protect those assets from liquidation. Please contact us for more information. 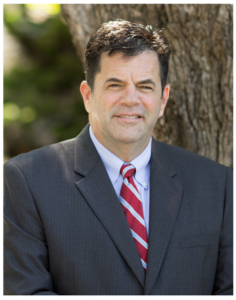 I am an experienced criminal defense attorney with over 30 years of experience. I know the court system, and I am experienced in handling cases similar to yours. I would like to help you resolve your problems.